From left to right: Barbara O’Brien, Lisa Flores, Jennifer Bacon, Happy Haynes, Carrie Olson, Anne Rowe and Angela Cobián. The Denver Board of Education’s monthly meeting is scheduled to begin at 4:30 p.m. Thursday, March 15 at the Emily Griffith Campus, 1860 Lincoln St. Parking is located on the street. Board meetings are televised live online here. Public comment sessions are scheduled monthly; the March 2018 public comment session is scheduled to begin at 5:30 p.m., Thursday, March 15 at the Emily Griffith Campus. Please visit this page to learn more about signing up to speak during public comment. The deadline to sign up for speaking is 5 p.m. the day before the public comment session. Please click here to see the board’s agendas for upcoming work sessions, public comment hearings and formal meetings. 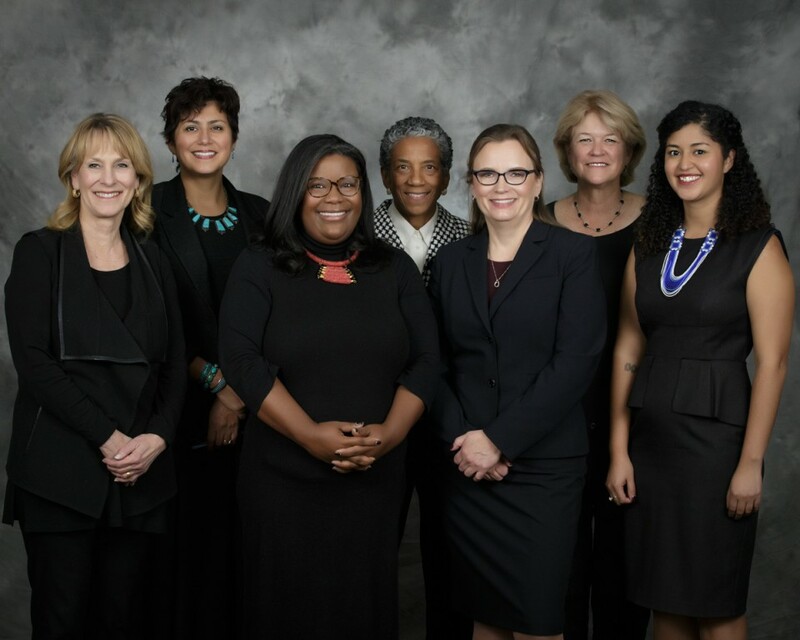 And please visit this page to learn more about Denver Board of Education members.